Often called the “Gateway to New England,” the town of Greenwich, Connecticut boasts an amazing location just twenty-five miles from New York City. This diverse community is a great place to buy a home and has been ranked by Money Magazine as the No. 1 best place to live in the United States. With a multitude of beautiful parks, gorgeous beaches, a state-of-the-art hospital, wonderful library and numerous award winning restaurants, it isn’t difficult to understand why Greenwich is continually ranked as Connecticut’s No. 1 place to reside. 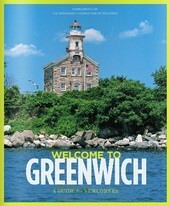 Within Greenwich there is a census-designated place known as Old Greenwich. Old Greenwich is a remarkable neighborhood that was founded in 1641. Home to around 6,600 residents, Old Greenwich is home to the town’s largest beach which is why the neighborhood was once known as “Sound Beach.” Within Old Greenwich there are several smaller neighborhoods and subdivisions, and among the most notable is Shorelands. Situated in the 06870 zip code, the Old Greenwich neighborhood of Shorelands is home to many gorgeous homes with impressive special features. For homebuyers desiring a luxurious Old Greenwich lifestyle, Shorelands is a must-consider destination. Shorelands boasts numerous waterfront properties overlooking Greenwich Cove, and the Shorelands Association also has a beautiful beach, dock and picturesque views. Shorelands is within walking distance of schools, the train station, the library and a park. 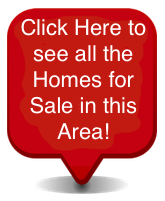 Homes for sale in the Shorelands community of Old Greenwich vary in price depending upon the property’s size, style, view and special features, but the average listing price is around $2.9 million. If you would like to learn more about the homes for sale in the Shorelands neighborhood of Old Greenwich in Greenwich, Connecticut, please do not hesitate to contact us today.